Parents are teachers for life, or Parents are the best teachers. I am sure we all have heard phrases that imply something similar, at some point. Looking back in our lives, I am sure all of would agree to it wholeheartedly. Science tells us that our nurturing plays a defining role in our lives, and it is our parents who nurture us to the best of their abilities. So, technically they are responsible for all our achievements. However, sticking to the task at hand, is it quite clear from the outset that parents have a huge role to play in the lives of children right from the beginning. We are concerned here with the more specific role that parents play in the early childhood education of their child, and how crucial it is. Generally, going to a play school is the first time a child gets out of the comfort zone of the house & from the protective shadow of their parents. It is also the parent’s first experience of letting the child away from them, even if for a while. Enabling this transition smoothly is the primary & defining mark of any play school. It facilitates learning away from the children. However, it does not by any means, mean that parents cease to play a role in this learning. They still remain the active facilitators of all the needs of a child & continue to guide their actions. Early childhood education, as discussed in some previous posts also, is relatively new to India & its importance is now being understood & accepted by a major chunk of societies belonging to various classes. Thus, understanding their roles by parents becomes a part of the whole procedure. 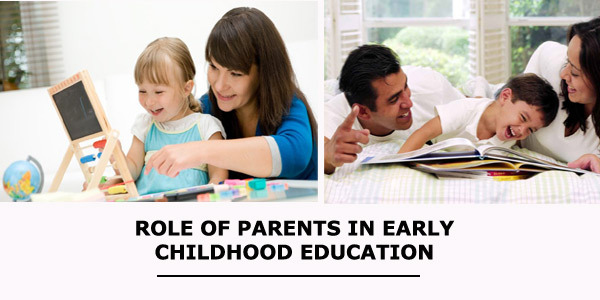 Parents have now come to realize that their roles are not limited to performing certain important tasks; active participation in the education of their child, by parents, enables the child to extend their learning beyond the walls off the classroom. Children feel more confident in their outlook towards classroom learning, and active participation on part of parents gives them an incentive to learn better. Also, this close proximity makes the child more confident & happier. Parents play the role of a catalyst that might not be so apparent initially. They engage with their children on a daily basis about the experience of a child in the classroom. This helps in enabling them to understand the behavior of their child, and establish a pattern as to what their child is learning and practicing. This also helps them to understand the areas where the child needs to work on or what are her strong areas. Engaging in such active participation in the lives of their child is beneficial and comforting for the child himself; children can open up to their parents in a manner they cannot open up to anyone else. The insecurities or peer pressure in a classroom subsides in the company of parents, and they can really open up. Parents involving themselves with the process of their child’s education also helps in improving the abilities of the child. Astute parenting promotes dialogue with school teachers on a regular basis and get a sense of the classroom that their child is a part of. This helps them in creating situations deliberately at home for the betterment of their child; they can facilitate the process from learning to experiencing. Other ways for positively impacting the education of their child, or reasons for parent’s participation is laying the foundation for more important years to come. Parents actively involved with the child can facilitate this process by nurturing their attitude towards positive things, inculcating the ideas of having good friendships, guiding them towards developing good work ethics, feeding them with moral values, empathy towards others a lot more. Schools perform a certain crucial function in dealing with all the above things, but the impact that parents can have cannot be replaced. For all the different ways that parents can positively impact the early education of their child by active involvement, there is a still a more elementary problem that this article wishes to bring to light. It is aimed at providing both the reasons for active involvement of parents & also at telling them that it is important to do so. The latter is the more basic problem that needs attention. It is often the case or a general belief among parents that their roles are limited to ensuring that their child joins a particular institution. It is believed that talking to the teachers is a consequence of some wrong that the child might have committed. However, this is a false notion that the society at large is grappling with. It is imperative that parents realize the huge role they play in providing basic education to their child. Regular engagement with teachers and conveying them that you would like certain things to be incorporated in the syllabus. Make efforts to engage with the other students or friends of your child in the class. Schools can also maintain journals and invite parents for discussions on various topics. Ensure that the child gets as much involved in extracurricular activities as possible. Situated cognition is a term that denotes the idea that most of the learning is done through activities & by experiencing. The theory believes that classroom serves a limited purpose and that it is crucial to engage children with a web of activities to build on what they are taught. In pursuing this aim, there are two main actors that can be identified straightaway- Teachers and Parents. Their importance and role in the education of the child is something any theory is yet to deny. 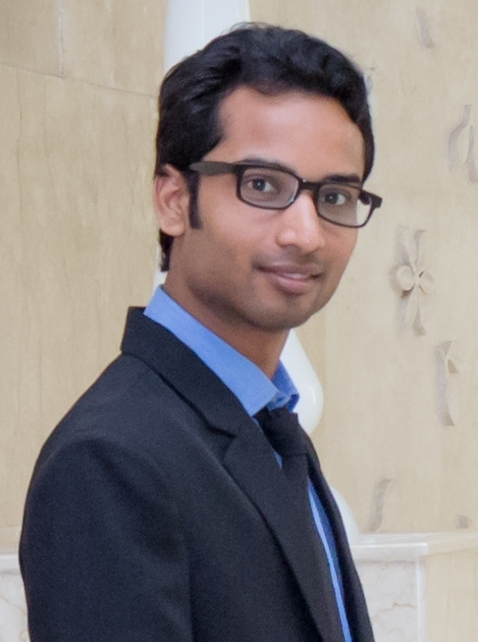 Nishant Verma is a young researcher, writer and blogger. He crafts and publishes the content on Bachpanglobal.com and Academicheights.in. He has an innate passion in education research, in teaching and mentoring people. He is open to suggestions for his work. He spent most of his time in reading and writing.